Big news for tiny home enthusiasts in Georgia: eco-friendly cottages are coming to Atlanta's Historic Downtown East Point. 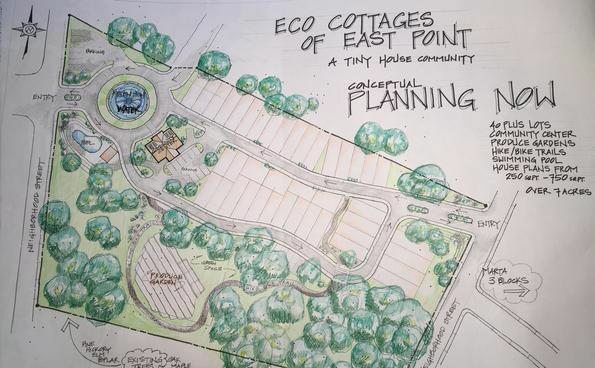 According to What Now Atlanta, local home-builder Jim Chapman Jr. is planning a village of tiny eco-friendly homes in the area. Chapman and his team (including Tiny South Development's Kim Bucciero and Tiny House Atlanta's Will Johnston) will turn a 7.69-acre parcel of land into a 40-house community consisting of 250 to 700 square-foot homes. Once built, it will be the first tiny home community in the metro region. Features of the community will include a community garden, trails and paths for walking and biking, picnic areas, a fire pit and even a place for yoga. Sustainability will be a primary focus in the community with plans for vertical gardens for houses and use of preserved century-old hardwood for various projects. 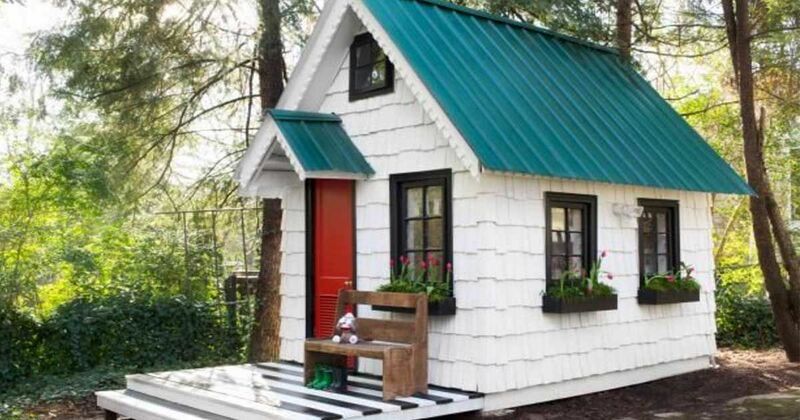 There was already excitement near Atlanta over tiny homes. Nearby Decatur recently held their own tiny house festival at the end of July spearheaded by Tiny House Atlanta. The announcement of a planned tiny home community came shortly after the festival, sure to put local tiny house enthusiasts in an even better mood. Currently, there is no announced date for the approximate opening of the community. Planning of what can be expected of the homes is shown below.